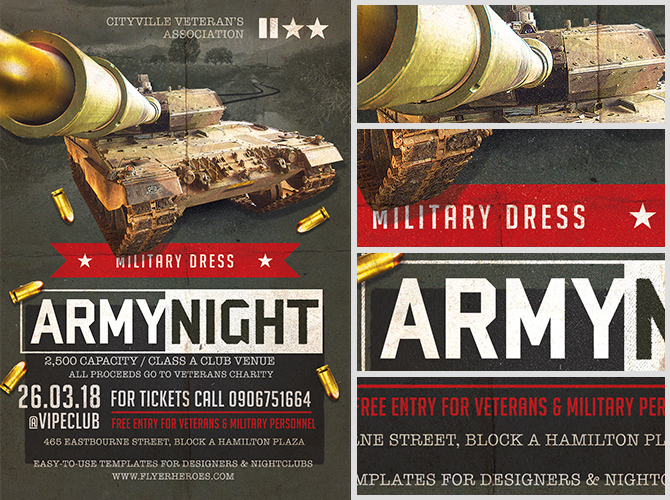 Army Night Flyer Template by FlyerHeroes merges vintage World War II style with modern day 3D assets. 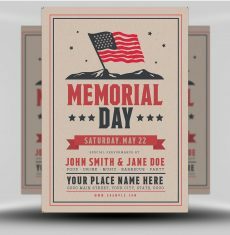 The colour scheme and text layout are reminiscent of military print on vehicles, dog tags, bullet boxes and other equipment. 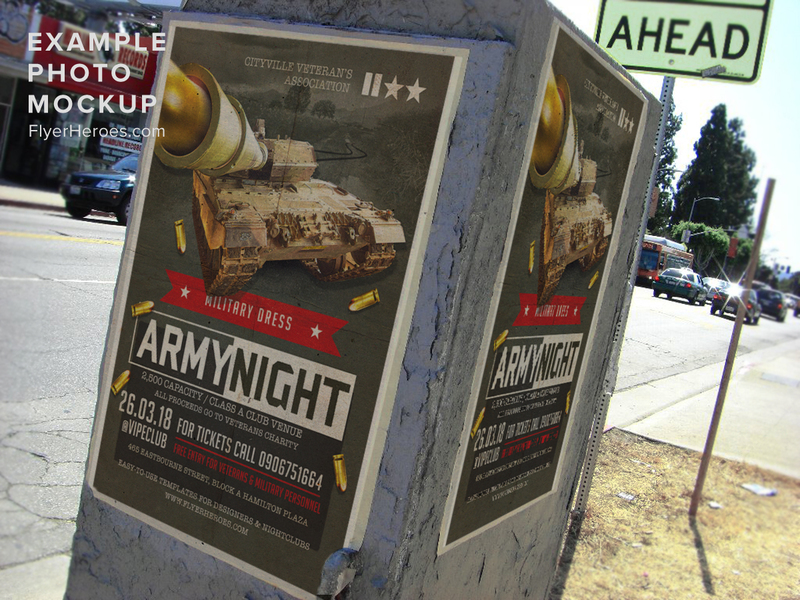 The template features hints of military insignia, scattered bullets… and who can miss that tank!? 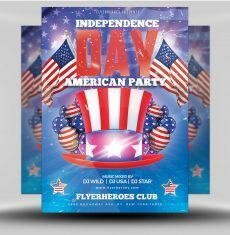 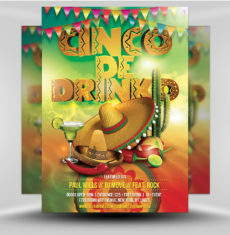 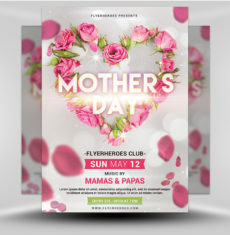 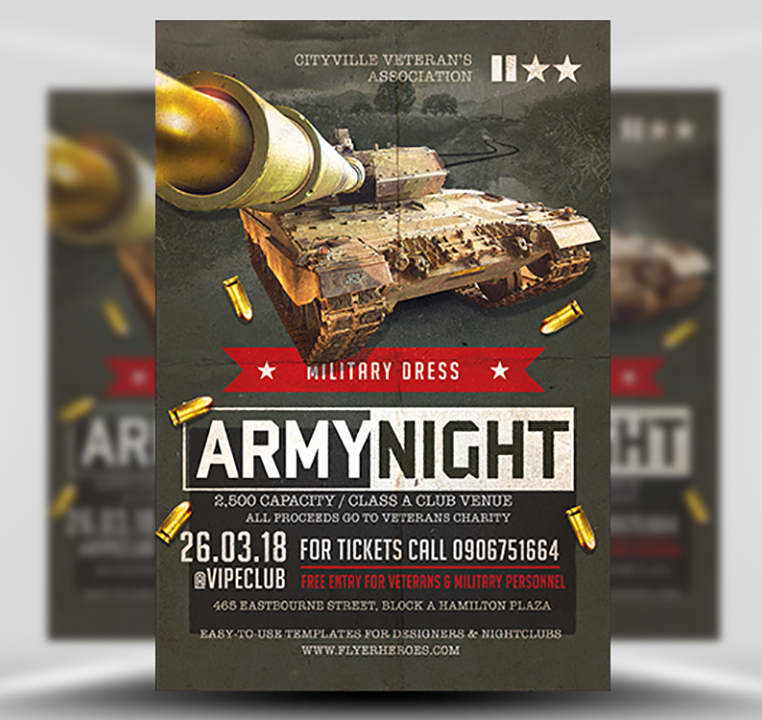 There are a variety of reasons an army flyer template can come in handy: Military themed fancy dress, veteran’s charity fundraisers and annual national holidays. 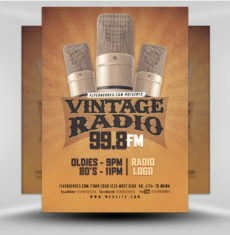 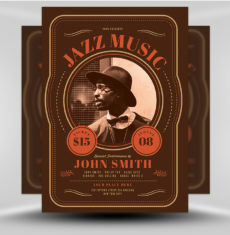 Without the tank, the aged appearance of this template make it a great choice for other vintage themed events. 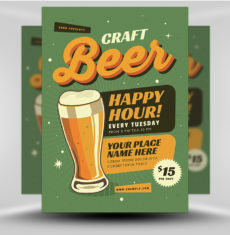 The tank and other 3D assets are all included in the template. 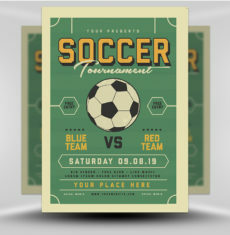 All you need to do is edit the text and you’ll be ready for printing! 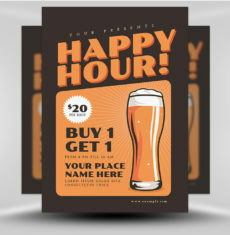 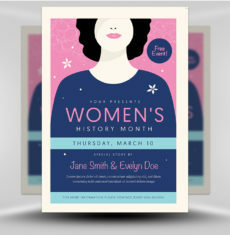 What fonts do I need to use? 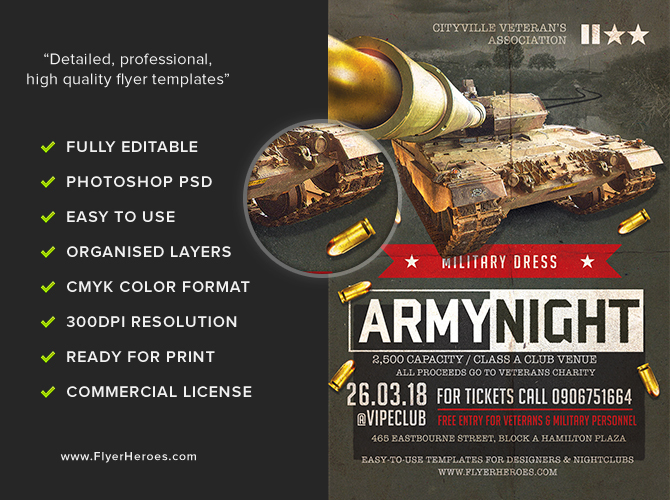 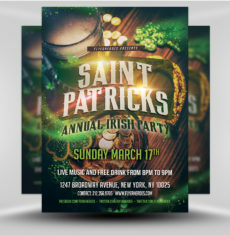 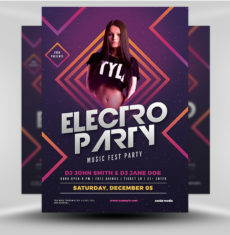 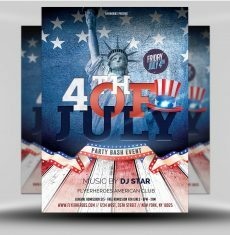 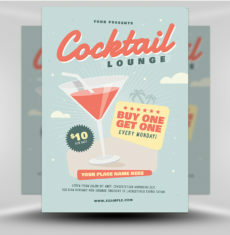 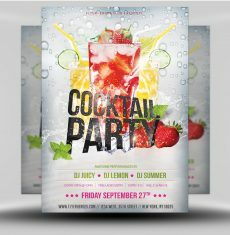 Army Night Flyer Template is a premium Photoshop PSD flyer / poster template designed by FlyerHeroes to be used with Photoshop CS4 and higher.